In addition to being dazzled by New Zealand’s breathtakingly beautiful scenery, we were also hoping to find some endless summer waves and drink some good New Zealand wine. The ocean didn’t really cooperate, but one can always count on drinking wine as an available recreational activity. Even though wine production in New Zealand is small, producing less than 1% of the worlds wine, it is very diverse and navigating the different regions is not trivial. Most grapes varieties, including Pinot Noir and most whites, are grown all over the country so one cannot make the usual virtual mapping of the geography based on grapes. Add to this that the names of places and wine producers make a german wine label look simple and things can get very confusing. Many places (not only those that produce wine) are named after some nearby lake, river, or stream resulting in a name beginning with “Wai”, the Maori word for water. 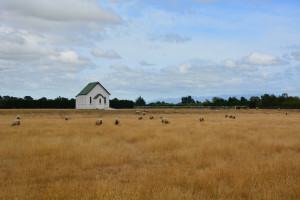 There are wine regions and wineries with names like Wairarapa, Waipara, Waitaki Valley, Waiheke Island, Waitiri Creek, Wairau Valley to name a few. There are even a Waimea and a Waikiki to make things extra confusing for surfers (those are also names of famous surf locations in Hawaii). 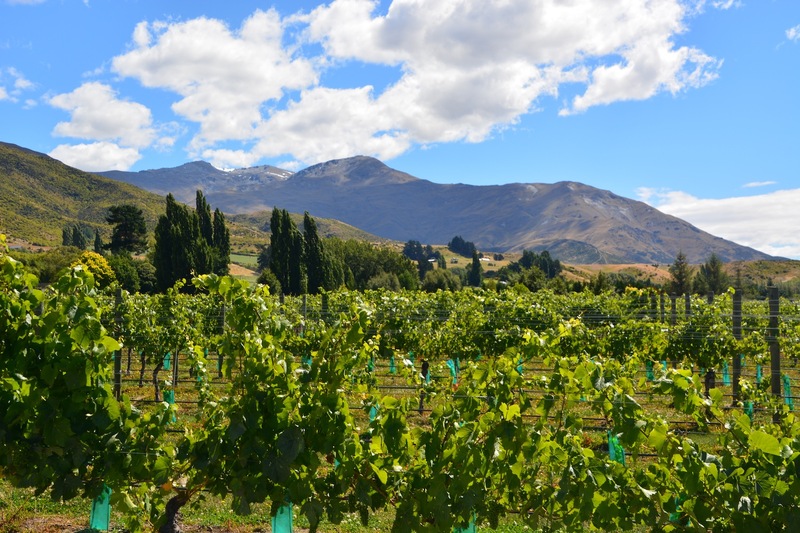 It was Sauvignon Blanc that first put New Zealand on the world map in the 1980s, and it still accounts for 70% of the total production, but in a post-Sideways world New Zealand’s wine producers are putting more and more effort into Pinot Noir. More and more people are of the opinion that New Zealand produces the best Pinot Noir outside of Burgundy, and as such Pinot Noir was the primary focus of our wine explorations. As mentioned, Pinot Noir is grown all over both islands, but it is in Central Otago on the south island and Martinborough in Wairarapa on the north island that this difficult, finicky grape has been most successful. One can sense that there is a bit of a rivalry between these two regions, as they even have competing wine festivals in their strive to be the Burgundy of New Zealand. We tried our best to sample as many Pinot Noirs as we could, pushing our travel budget and our livers to the limit, but it is of course impossible to do a complete and comprehensive sampling of everything the country has to offer. Based on what we tried, we have to agree that many of New Zealand’s Pinot Noirs are indeed very good and made in a style more similar to those of Burgundy than other new world regions. The best ones we had were elegant, balanced, restrained wines with beautifully smooth textures. Wine tasting in Central Otago is quite a lovely experience. It is the world’s southernmost wine region, and the landscape is predictably beautiful with rolling, green, sheep-studded hills intersected by bright turquoise lakes, streams, and dramatic canyons, everything framed by snow-capped mountains in the distance. We spent a couple of days visiting several of the small wineries in the region, enjoying the Pinot Noirs of Brennan, Rippon, Tarras, and Felton Road. 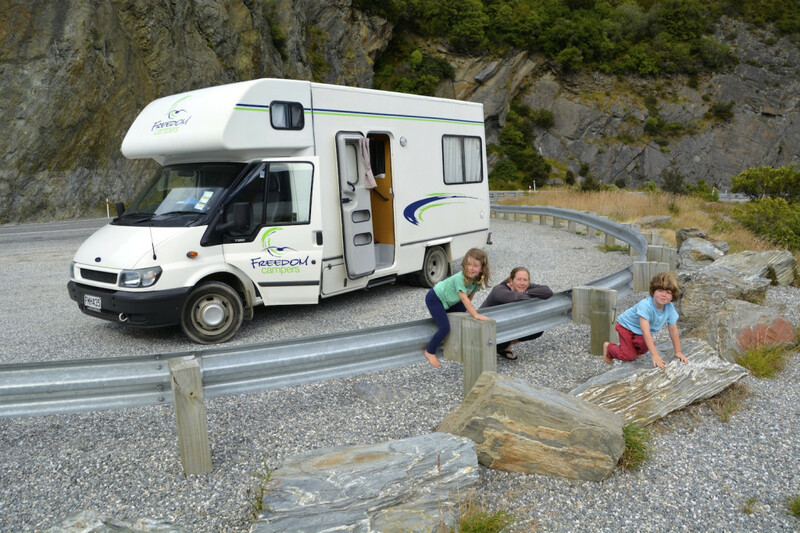 The visit we enjoyed the most was to the small, family-owned and run Waitiri Creek in the Gibbston Valley just east of Queenstown. The tasting room and a small café is housed in a beautiful, wooden church from the 1800s. For each wine we tasted, the host pointed either to his right or to his left and said “the grapes for this wine are grown over there…” indicative of a small, local operation indeed. They poured two very good Pinot Noirs made in very different styles. One made for early drinking that showed bright cherry flavors and absolutely no oak, and one slightly darker more structured wine that might reward a few years in the cellar. Both Pinots were delicious, but the wine that I thought really stood out was their Chardonnay. Made in a Chablis style, with no new oak, this wine had a beautiful texture and bright citrus flavors combined with more savory notes. Not quite a Grand Cru or Premier Cru, but this could definitely pass for a generic Chablis from a good producer. This was one of the most interesting new-world whites that I have had in a while. The biggest town in Central Otago is Queenstown, situated beautifully between the Remarkables mountain range and Lake Wakatipu. The town has all the wine stores, tasting rooms, and cosmopolitan cafés that you would expect in a wine country town, but it is also know as New Zealand’s adventure capital. On the menu available for sampling are white-water rafting or jetboating on wild rivers in narrow gorges, mountain biking, and bungy jumping, which was allegedly invented here. Even though Alexis and I love these type of activities, we decided to opt out of the craziest ones knowing that when we come back when the kids are a little bit older they will demand to do all of this. We did, however, try street luge which looked like way too much fun to pass up. It is basically a luge with wheels, kind of like a large skateboard, that one rides at high speed down a concrete track, mitigating slower traffic with hairbending inside passes. The track is located on Bob’s Peak, with beautiful views of the town and the lake. All four of us were instantly hooked after the first run, the kids could barely contain themselves in between runs. An activity well worth trying and a great way to spend and afternoon. 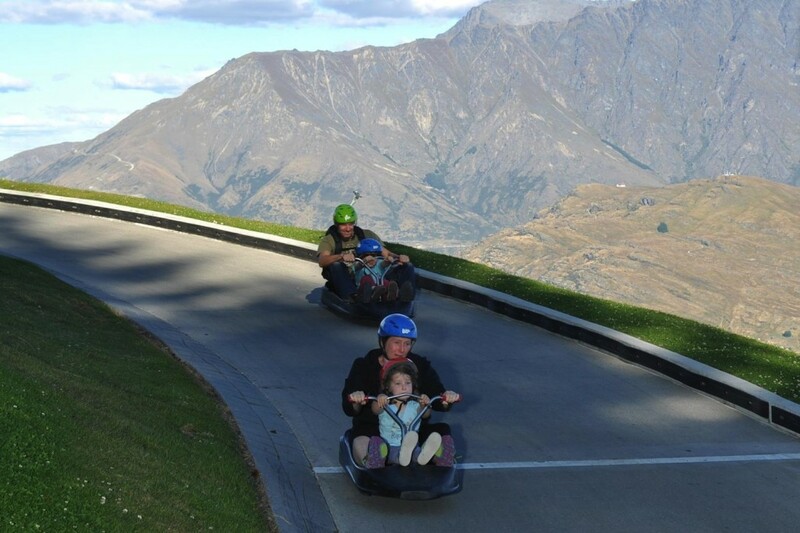 Street luge in Queenstown. The track is wide enough to pass, creating some interesting competitive situations. Making our way north along the east coast of the south island we made a brief stop in a small wine region called Waipara, about an hour drive north of Christchurch. 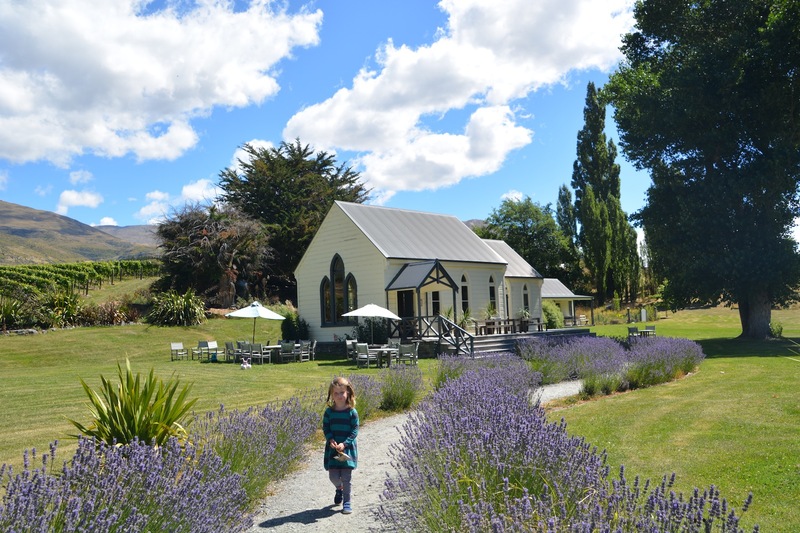 Waipara is barely mentioned in guide books for the simple reason that there is not much there to see or do, but it does have some good wineries. We had our eyes set on Pyramid Valley Vineyards, a small producer whose wines we had tried a few times back in the US. They are normally not open to the public but are happy to take visitors if one makes an appointment. 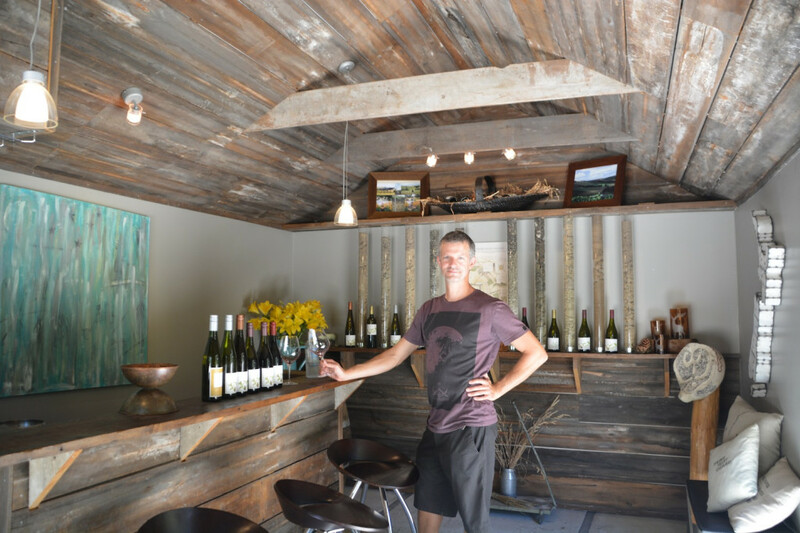 The winery is located a few kilometers off into the country side, inland from all the other wineries that are clustered along Highway 1 closer to the coast and the Waipara township. What attracted the founder to this area was the higher percentage of limestone in the soil, making it more similar to the soils of Burgundy, compared to the land closer to the coast. Pyramid Valley makes two different Chardonnays and two different Pinot Noirs from grapes grown in their vineyards around the winery. They also make a number of interesting wines from grapes purchased from growers in other parts of the country. They make an excellent Pinot Noir from Cantral Otago in the south, a couple of great Rieslings from Marlborough on the northern tip of the south island, and a surprisingly good Cabernet Franc from Hawkes Bay up on the north island. They don’t make the same wines year after year—if the quality of the grapes in a certain year is not up to their standards they will not buy from that grower that year. Our favorites were the Riverbrook Vineyard Riesling (from Marlborough), made in an off-dry style showing classic riesling notes of nectarines, citrus fruits, and a hint of petrol, and the elegant and silky-smooth Calvert Vineyard Pinot Noir (from Central Otago). We also got a tour of the farm and the kids got to pet the farm dog and a couple of cats, feed the ducks, and say hi to the largest pig they’ve ever seen. The tasting room at Pyramid Valley. The arrangement in the background shows the soil of the different vineyards. We also spent a few days in Martinborough in Wairarapa on the southern tip of the north island, to see how their “decidedly burgundian” Pinot Noirs compared to the “decidedly burgundian” Pinot Noirs of other regions. Again, it was a lovely and supremely relaxed experience. Martinborough is a very cute little town that like many other wine towns has the interesting combination of cosmopolitan looking restaurants and cafés in a very rural setting. It is small enough to be easily explored by bicycle, which was exactly what we did. We visited a number of good wineries and tried Pinot Noirs in a range of styles, from lean and earthy to more soft and fruity. Ata Rangi is one of the most well known producers and also one of the oldest—founded in the 1980s is old in this part of the world. They had a light but elegant and very good Pinot Noir, and also a range of well-made whites. Te Kairanga is another producer whose Pinot Noirs stood out for their elegance, balance, and subtle flavors. We had a really nice visit at Cambridge Road where the founder, owner, and winemaker Lance Redgwell was pouring the wines in the tasting room. It was great hearing his view of the different wines and what he was trying to achieve with each wine. In addition to a few very nice Pinot Noirs they produce a rather elegant, typical cold-climate Syrah, and a field blend of Pinot Noir with 30% Syrah called Dovetail. We found the Dovetail very tasty and interesting with the Syrah adding some darker fruit and peppery grip on the finish to the normally lighter and more delicate Pinot Noir. We also got to hear the interesting story of how he graduated from business school and eventually ended up being a wine farmer/producer. We spent an entire afternoon at Cambridge Road tasting I don’t know how many different wines (luckily we were riding our bikes, not driving) and chatting with the hosts, while Phineas and Eilir were playing Transformers in a shed out back with their son. Can I pass for 18? In attitude, yes. I enjoyed reading your notes and really appreciate you sharing the Pyramid Valley and Cambridge road wines with Carol and me. They are definitely a cut above most of the North American pinots I’ve tasted. The aromatics, acidity and complexity were outstanding!